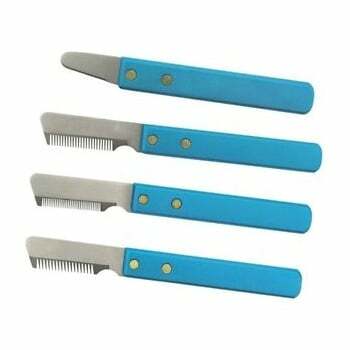 Durable stainless steel blades easily remove excess hair. Riveted handle is built to last. A professional quality grooming tool at a value. Ideal for plucking & carding coats. Textured metal handle will not slip even when wet. These Master Grooming Tools Stripper Knives are designed by professional groomers fro ultimate comfort and performance, and to reduce repetitive motion injury and increase productivity. 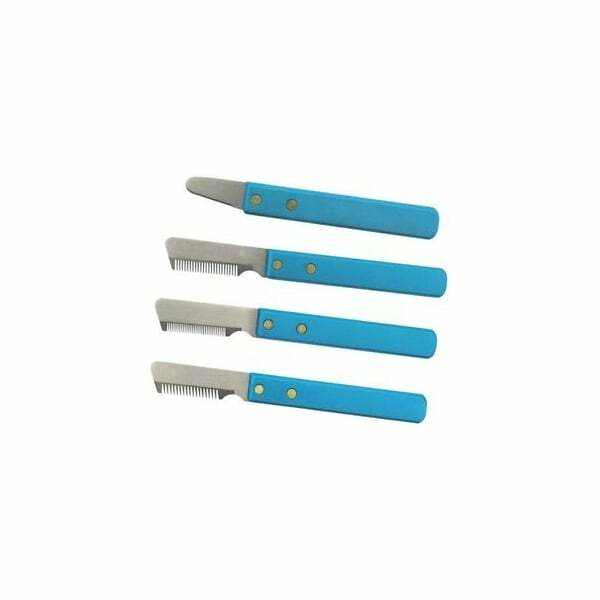 These knives feature non-slip grips for excellent control while plucking or carding. Recommended for all breeds for which hand stripping is appropriate. · Recommended for the following breeds: Airedale, Wire Haired Fox Terrier, Irish Wolfhound, Spinone Italiano, West Highland White Terrier and German Wirehanded Pointer. · Recommended for the following breeds. Gordon Setter, Irish Setter and Bouvier Des Flandres or for detail work.